Sooo Pinoy Food Tour in Cebu first stop on the second day is Golden Prince Hotel and Suites just a stone-throw from Ayala Center Cebu and Cebu Park District. Golden Prince Hotel and Suites assures customers a royal living at a fair and affordable room rates. Golden Prince Hotel and Suites welcomes you to feel right at home redefining urban living from choice of location, luxury and lifestyle. 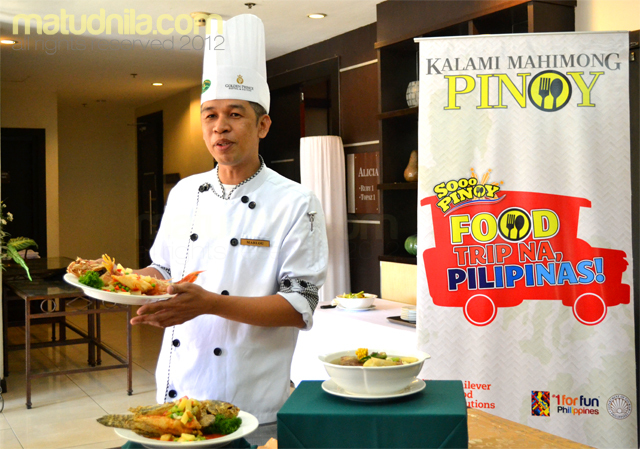 Sous Chef Marlou Almasco of Golden Prince Hotel and Suites prepares two dishes from Prince Fusion Gourmet to Sooo Pinoy. The first Prince Fusion Gourmet dish is Crispy Fried Pescador, a Pugapo or Lapu-Lapu in a sweet and sour sauce with pineapple garnished. 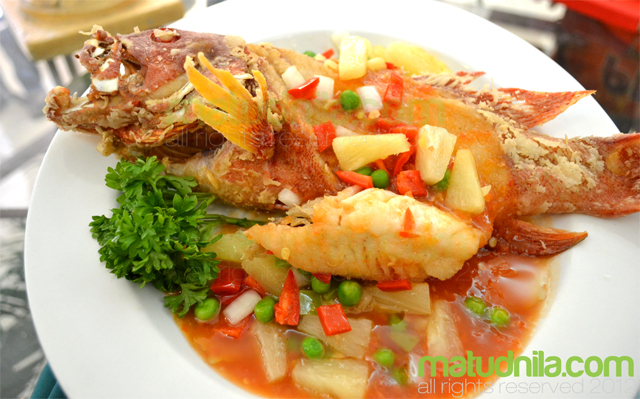 The name of the Lapu-Lapu dish, Pescador is derived from Pescador Island in Moalboal at the western part of Cebu. Crispy Fried Pescador is deep fried with the sweet and sour sauce with tomatoes, Green peas, Potatoes, Pineapple bits, Carrots, Onions to balance the flavour. The second dish from Prince Fusion Gourmet is one of Cebu's Popular dishes - Beef Pochero, in Luzon it is popularly known as Bulalo. 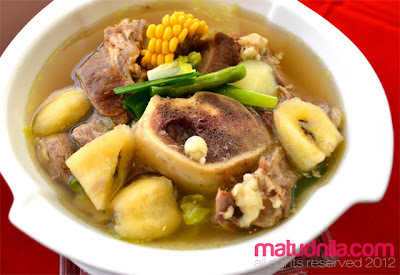 Chef Marlou uses cebu growned corn, saging saba, potato, beef shanks & bone marrow and vegetables. He added that by using Saging na saba and sweet corn, the sabaw of the Pochero would taste a little bit sweeter. Unilever Food Solutions Sooo Pinoy Campaign will discover all one of a kind Filipino dishes through the country's restaurants and converse with Filipino Chefs about their innovations on Filipino dishes that they serve. To know more about the Sooo Pinoy Campaign like the Sooo Pinoy page on Facebook or follow @SoooPinoy on Twitter. 0 comments: on "Sooo Pinoy Food Tour Cebu: Golden Prince Hotel and Suites Beef Pochero"